The first competitive Overwatch LAN, Street Fighter and more! It's a quiet weekend overall as many pro scenes enter a lull following a long month of dramatic Spring championships. That doesn't mean that you've got nothing to watch, however: on the contrary, there's no better way to cap off a week of Overwatch than with the game's first competitive LAN. If that's not your speed, the Capcom Pro Tour is hitting no less than three cities over the next two days, and there's still Dota 2 and Smite to be watched. Enjoy! The first Overwatch LAN is being hosted by TaKeTV, better known for StarCraft's HomeStory Cup. It's a relatively small and chilled-out event with a modest $5,000 prize pool. This is a chance to get a sense of the developing Overwatch pro scene in Europe. Play began today and continues starting at 11:00 BST/03:00 PDT on both Saturday and Sunday. Here's the livestream. As the Smite scene regroups after the recent drama you can expect that, at the very least, the rest of the week's games will last longer than a minute and a half. You can find top-tier play in Europe and North America starting at 18:00 BST/10:00 PDT on both Saturday and Sunday. As ever, you can watch the games on HiRezTV. There are several stops on the Capcom Pro Tour this weekend, including Combo Breaker in Chicago, FFM-Rumble in Frankfurt, and Japonawa in Tijuana. 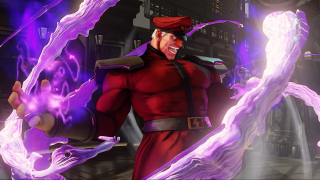 This means you're rather spoiled for choice when it comes to competitive fighting games, but Capcom promise a 'surprise' at Combo Breaker that might well prove to be a reveal of the next DLC character for SFV. If you're unsure which one to watch, then Combo Breaker is recommended for that reason. Find the schedule and stream information right here.